As we all know, aging can bring unwelcome changes that most of us would like to reverse or slow down. This is particularly true especially when we notice how our jawline is losing definition as some loose skin is hanging down as well as some lines are becoming more visible than before. As discussed in our previous blog about reversing sagging skin, decrease of collagen and elastin due to aging is the main cause of it, with other contributing factors like smoking, sun exposure, and weight loss. Unfortunately, sagging skin on the face can also become more prominent as the years add up. 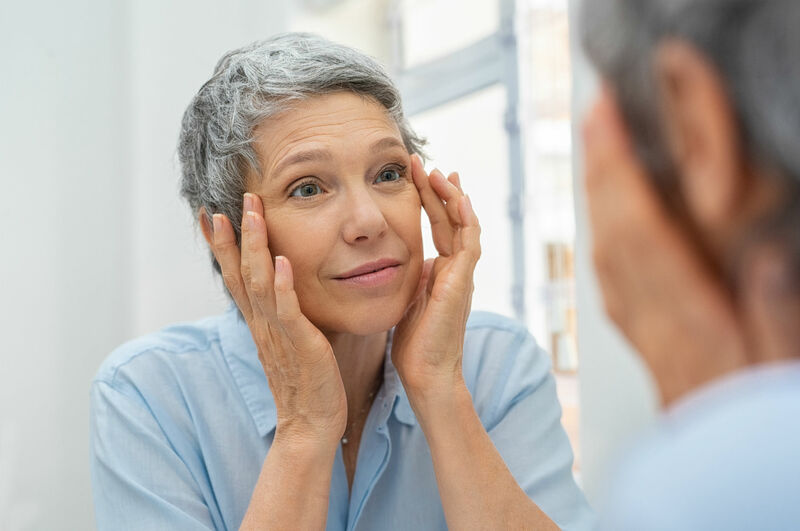 Surgical facelift can do wonders in elevating loose skin, but the procedure itself is expensive, with several risks and complications. Furthermore, not everyone is willing or ready to go under the knife or wait several weeks for the incisions and scars to heal completely. One good alternative if you’re not yet ready for surgery is Dr. Perfect V-Line PDO thread lift in Singapore. It is a minimally invasive procedure that can immediately lift and tighten saggy skin on the face and other body parts without cuts and incision. Continue reading to learn how can Perfect V-Line PDO Thread Lift help reverse sagging skin. Dr. Perfect V-Line Thread Lift is made of a stronger and effective type of PDO threads that are inserted in the deeper layers of the skin to gently elevate sagging areas, with minimal to no downtime. What makes it a unique alternative to surgical procedure is that it offers a significant yet subtle and natural-looking improvement in the skin’s overall texture and appearance. Check out this blog to know more about the benefits of undergoing a PDO thread lift procedure. So, how does it work and how is the procedure done? The thread lift procedure begins with an application of a numbing agent for increased patient comfort. This follows the insertion of the PDO threads in the subcutaneous fat layer or the superficial muscular aponeurotic system (SMAS), depending on the area to be treated. PDO threads of different lengths and thicknesses may also be used on the face to get your desired results. The procedure also uses a blunt-tip cannula (a very thin tube with a rounded tip). There are many benefits of using a cannula in PDO thread instead of a needle, one of which is minimizing bruising and trauma. Once the threads are inserted, the skin will undergo a self-healing process that also promotes collagen production and active blood flow in the inner layer of the skin. A noticeable lift will be seen after the procedure. Within six to eight months, the threads are naturally absorbed by the body. You will continue to see a natural lifting effect over time as the new collagen starts to form around the threads. In most cases, a typical procedure can last for about 90 minutes, but this will still depend on the number of areas you want to treat, as well as the number of PDO threads needed. As numbing creams are often applied to the area of concern before the insertion of threads, the procedure is usually well tolerated by most patients. The threads used in Dr. Perfect V-Line are KFDA and CE marked. They are made of absorbable PDO (polydioxanone) and have been used over the years in many areas of medicine, including surgery. Furthermore, PDO threads are preferred than PLA as PLA threads are not strong enough to hold the lift. While PDO are made of stronger threads, they completely dissolve in the body within six to 12 months. They are metabolized into water and carbon dioxide, and then naturally absorbed by the skin. Is there any downtime or side effect? Although there is no downtime and you can go back to your normal routines after the procedure, it is still recommended to avoid strenuous activities for about two weeks. You may also experience a pulling sensation after the treatment, as well as some bruising and swelling. You don’t have to worry though, as this is normal and temporary. In the case of bruising, it may last for at least 10 days. Our aesthetic doctor will give you aftercare instructions that you need to follow at home. At least one day after the procedure, we will schedule a review to check the treated area. How long will I have to wait to see results? How long do they last? You may notice an immediate lift of the skin after the procedure, but the overall effects will be seen after two to three months, when the stimulation of new collagen starts. The PDO threads will then be dissolved over the period of six months and will remain for at least two years or as long as the collagen of the skin holds and maintains the lift. Your lifestyle can also affect the longevity of result. If you, for instance, engage in unhealthy habits like smoking and eating too much sugary foods, your skin’s collagen is likely to break down faster, and therefore compromise the lift’s longevity. When combined with dermal fillers, the Dr. Perfect V-Line thread can help improve sagging skin and natural volume loss caused by aging. This then offers a total approach to combating the signs of aging by improving the appearance of droopy eyebrows, sunken cheeks, as well as sagging neck and jowls. Don’t let sagging face make you look older and more tired. Get an immediate and non-surgical facelift with Dr. Perfect V-Line PDO thread lift. Contact Cutis Laser Clinics in Singapore today and schedule a consultation with our Harvard-trained aesthetic doctor, Dr. Sylvia Ramirez, to learn more about this treatment and to find out if you’re a good candidate.